Okay, this article is great, and I strongly encourage you to go read the entire thing yourself. 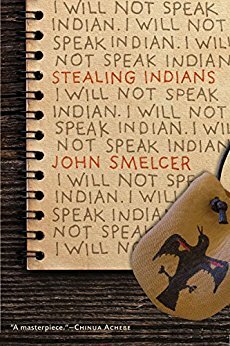 It's an investigation into the many alleged lies of an author named John Smelcer. It seems that Smelcer, who has been nominated for awards and given jobs based on his Alaskan Native ethnic heritage, might not be Native after all! And that doesn't even begin to cover the man's other dubious claims, which range from the identity of his agent to the sources of his promotional blurbs, which he attributes to a number of notable (albeit dead) authors, including Norman Mailer and J.D. Salinger.